KWD 43.78 including 11.58 KWD shipping. The nommo chroma 2.0 full range sound gaming speakers - black Speakers & Headset is manufactured by Razer and was added around February 2018. This version of the Speakers & Headset comes in Color : Black. 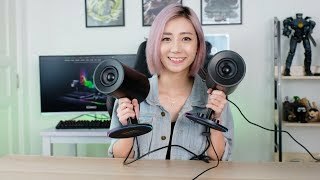 Razer Nommo Chroma - The Best Gaming Speakers? 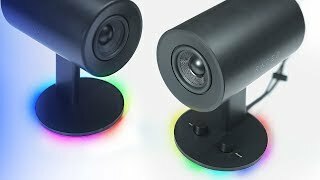 These Sound AMAZING - Razer Nommo Chroma Speakers Review! Price has increased 3100% from KWD 1 on 2018-02-14 to KWD 32 today.